"We are a team of highly motivated and experienced professionals with a desire and drive to deliver for our clients. The combined experience of the team ranges from assisting startups with business plan development, capital raising and entry into the market to helping larger organizations improve their current operations. In all cases our focus and approach is to identify value for our clients and to help them realize that value. Our team embraces our clients’ challenges as our own. 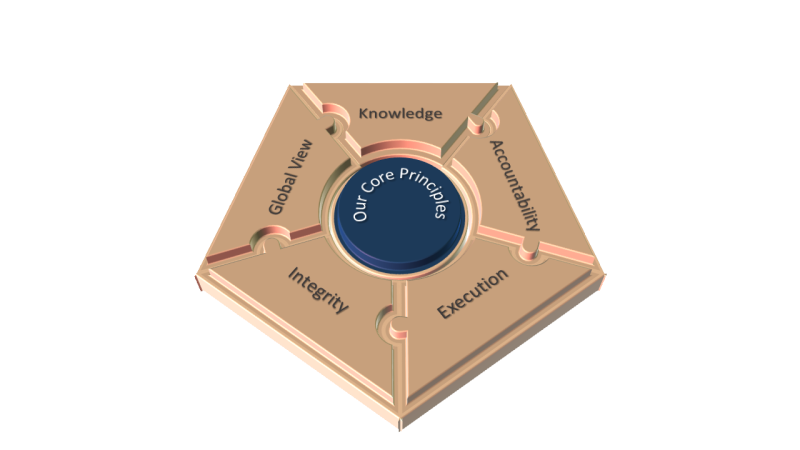 We operate on the principles of knowledge, integrity and accountable execution. Our track record is unparalleled. Each partner has a long history of creating enterprise value for corporations, institutions, developers, investors, governments and lenders as principals, officers, and advisors. We are recognized as thought leaders and innovators globally for business, real estate and technology. With the assistance of our Alliance Members we are able to assist with projects ranging from highly technical to strategic and we are able to ensure that the right team is engaged on each project." Colin worked as a Financial Services Consultant for the CEO of ARGUS Software, assisting with Business Process improvement initiatives and managing functional areas of the company. Prior to ARGUS, Colin acted as Interim CEO of Castle, Meinhold and Stawiarski Holding Company during a Venture Capital Investment and then at Principal Group as a Business Process Consultant and Systems Peer evaluator. Jeff was President and Chief Executive Officer of NAI Global, the world’s leading network of commercial real estate brokerage firms. Jeff was one of the founders of NAI, and over the past decade lead the organization to its position of industry prominence. He was active in marketing, business development, management and strategic planning capacities with NAI. Jeff is President and Chairman of the Board of the Homer Hoyt Institute and Professor Emeritus of Real Estate at the Indiana University Kelley School of Business. He is the Educational Consultant to the National Council of Real Estate Investment Fiduciaries (NCREIF), and serves on the advisory board of Sterling Valuation. He has consulted for several real estate companies including ARGUS Software, Real Capital Analytics (RCA), the Federal Reserve System in Washington, D.C. and the multifamily group of the Federal National Mortgage Association (Fannie Mae). Mark was the President of ARGUS Software, the standard for analytical and investment management solutions to the commercial real estate industry, and the Chief Knowledge Officer of Altus Group. In 2005, Mark led a leveraged buyout and subsequent turnaround of ARGUS that included introducing the firm's products to the Japanese and Chinese markets, led the acquisition of a major European competitor to establish a strong EU presence and continued to add new tools and partnerships to strengthen the firm's arsenal. Demetrios has over 30 years of real estate and finance experience, nearly half of which is in global markets. Over his career Demetrios has been involved in many aspects of the industry, including: asset management, business development, corporate real estate, education, lending, property management, research, risk management, strategy, structuring, technology, underwriting and valuation. Patrick was the Asia-Pacific VP of Operations for ARGUS Software where he was responsible for client services. Patrick managed the region’s team of consultants and developers to assure the highest quality delivery of client services, training and support. Patrick’s leadership enabled ARGUS to complete the first few successful deployments of the ARGUS CRM solution in the region. Soh Har was most recently the Managing Director and General Manager, Asia-Pacific for ARGUS Software, where she was tasked with the growth, operations and development of the Asia-Pacific and Middle East region. She managed the activities in this region from ARGUS Software’s offices in Singapore and successfully led the charge to develop a significant foothold in the region's real estate industry. Glenn is an attorney licensed in both New York and New Jersey. Over his career, he has focused his practice on creditor representation, banking and real estate. Glenn has represented clients in business transactions including asset and real estate acquisitions, commercial financing and leasing, mortgage banking, contracts and corporate formations. Ted served as the Director of the Information Management Office for ING Ops & IT Banking/Real Estate in The Hague. In that role he formed and led the strategic and tactical direction of the Information Management department and ensured alignment with the business drivers. He was also responsible for global technology within ING Real Estate Investment Management. 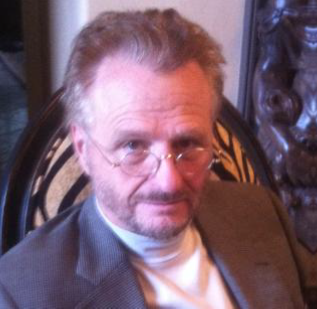 Dr. Gary Pivo is a pioneer in the areas of responsible property investing, urban form, and sustainable cities. He holds professorships in the Planning Degree Program and the School of Natural Resources at the University of Arizona where he teaches courses on the land development process and sustainable cities and society. Previously, Dr. Pivo was Dean of the Graduate College, Director of Graduate Interdisciplinary Programs and Associate Dean of the College of Architecture, Planning and Landscape Architecture at the University of Arizona. He has published extensively on responsible property investing, less auto dependent urban form, and sustainable urbanization. His research has been widely cited in scientific journals, text books, professional reports and government studies. His work with Dr. Fisher on the impact of Walk Scores on commercial property values has been widely cited and the basis for a series of new indices produced by Real Capital Analytics (RCA). Rhea served as the Chief Risk Officer of the Multifamily Mortgage Business at FNMA where she was responsible for establishing an independent chief risk office to oversee the approximately $200 Billion multifamily portfolio. Prior to her experience with Fannie Mae, Rhea has run a commercial real estate business that handled development, investment and management. In addition, she has held the position of Managing Director within Wachovia Bank where she held various leadership roles in Corporate Risk Management and the Investment Bank. Accountabilities included risk policies, portfolio performance evaluation, credit risk-related Basel compliance strategies and due diligence and integration activities associated wholesale bank acquisitions and mergers. Rhea is well known for her depth of expertise when it comes to commercial real estate valuation and risk analysis for both debt and equity investments. Dr. Grant Thrall served as elected President for the American Real Estate Society (2012-2013). ARES is the world's largest and most prestigious publisher of real estate and land economics scholarly research. He has served fifteen years on the Board of Directors of the American Real Estate Society as well as being on the academic board of the Appraisal’s Institute’s Appraisal Journal. Dr. Thrall is Managing Director and Owner of www.BuinessGeography.com through which he has executed real estate market analysis for over $1B in sustainable infill development and redevelopment. He has received multiple awards and acknowledgements for his research and market analysis. He is a leading expert in the use of GIS.